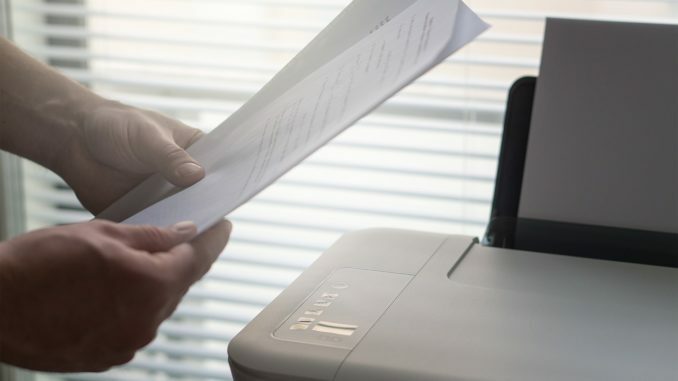 Document scanners continue to be an integral element of most office environments, due to the capabilities they now offer. Long gone are the days of simply capturing the image of a document, at what we would now consider a low resolution, and having minimal options as to the editing and processing of said document. Now, scanner manufacturers sell their devices with top software built-in, usually offering an array of bundles containing secure data processing, archiving, editing and efficient storage options. With the general data protection regulation (GDPR) kicking in as of May this year, for example, manufacturers have been focusing on the security and archival aspect of their technologies in order to offer dealers and end-users the best package; after all, solutions-selling has become an increasingly attractive proposition as it makes life easier for all points along the sales chain. So what are the trends in scanning right now which dealers can concentrate on in order to boost sales to their customers? With the help of some of the biggest scanner manufacturers in the world, we explore the topic. This may seem surprising, but organisations across the UK are moving away from the big, centralised scanners which loomed large in the classic image of an office and are replacing them with multiple, smaller devices that can be dotted across a workplace, making their uses more widely available. Smaller scanners are faster, sleeker and deliver the same quality as a large unit at a fraction of the cost and size. They are also network-ready, so less fumbling around with additional equipment is needed. A trend towards portable scanners is also growing, particularly for remote workers or sales personnel out in the field who need more flexibility in processing and collecting documents. The use of a portable scan unit ensures data is digitised quickly and easily in a way that saves time and prioritises security. Sensitive papers are much less likely to be left out in the open or misplaced, and can be securely disposed of once scanned. While A4 is the traditional focus when it comes to scanning, there has been a recent rise in organisations needing A3 capabilities. The healthcare sector, for example – a vertical which holds many opportunities for dealers – is in need of this; for example, Great Ormond Street Hospital is using A3 scanners to copy patient charts and local government, too, uses them for scanning large electoral forms. GDPR really has shifted the general mindset regarding data capture. Scanning has already proven itself to be a huge boon in meeting the new, stricter compliancy rules by ensuring organisations are able to easily digitise their documents. Businesses are also requesting add-ons, such as pin-code authorisation and automatic archiving with their scanners. Some scanners also have a ‘secure function lock’ which allows specific functions to be enabled or disabled depending on the permissions of user. The USB host port, for example, can be disabled for all but a handful of authorised staff, thereby minimising the potential for data breaches by removing the possibility of scanning to rogue external devices. You might also like... GDPR: How prepared are you? Enterprise content management has also become a point of interest following the implementation of GDPR, as it allows organisations to enforce the security and governance required to protect customer data and helps companies categorise and manage personal data in a way that specifically follows GDPR requirements. Sales of wireless and network scanners are up due to the obvious benefits of ease of use and efficiency. Scanning straight into a secure cloud service or mobile device – removing the computer from the chain entirely – is a big focus for manufacturers and something end-users are demanding to make their processes ever more streamlined. Digitisation has to be seamless now, with minimal margin for error and errors tend to be made when multiple users are inputting data. However, if the processes of scanning and archiving are automated, consistency is created. The fewer links in the chain, the less likely it is that mistakes are made. Yes, all new scanning solutions are inherently smart, but there’s been a sharp rise in seriously intelligent software that actually reads the information scanned rather than simply capturing its image. It’s this information that is used to store the data correctly, rather than the user having to add explanatory information once the document is scanned, making this software ideal for any organisation which deals with sensitive or legal information. Modern solutions can find the information needed from almost any document, meaning accurate archiving and easy searchability. Businesses are becoming aware that they cannot continue to function while sitting on hundreds of boxes and trays of paper – they have to catch up with the world around them and digitise their documents before destroying the physical copies securely. The benefits of a robust scanning solution are almost limitless; productivity is improved, time – and, therefore, money – is saved, better organisation promotes improved well-being and, of course, businesses become more legally compliant and less likely to face fines. It’s a great idea for dealers to fully-educate themselves in order to pass their wisdom on to customers, ensuring they’re offered the solution that suits them best. Scanning is an ever-evolving market, and it’s also very flexible and adaptable. Discovering precisely what a customer needs before offering a bespoke solution can lead to a much stronger business relationship than simply selling a product would. Many thanks to Grand Howard, group head of delivery at Kyocera Document Solutions UK, Kevin Dobson, product manager for business imaging at Epson UK and Aaron Hopkinson, product and solutions manager, scan and mobile, at Brother UK for their contributions to this article.